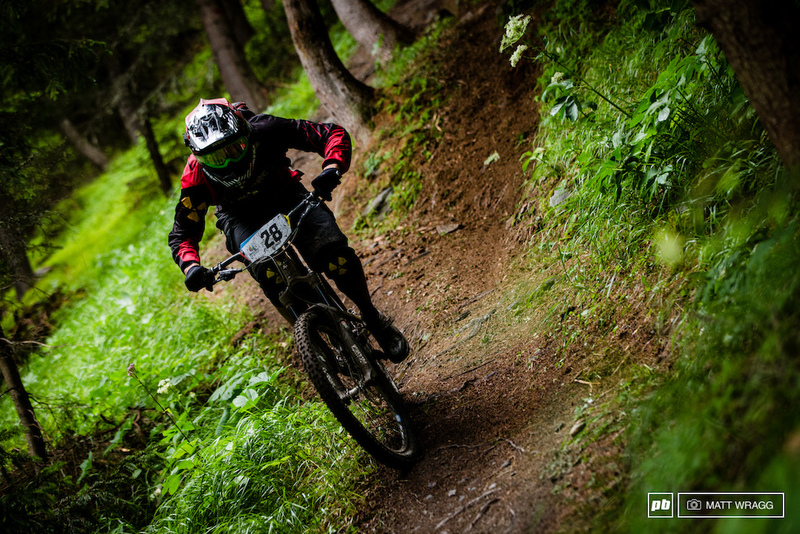 Unofficial EWS Privateer of the Year? We make no apologies for having a soft spot for privateers. They are the people who are there on the start line every single weekend for one reason, and one reason alone: They love being there. And of all privateers, the ones that deserve your respect most are the riders who follow the big, international series. 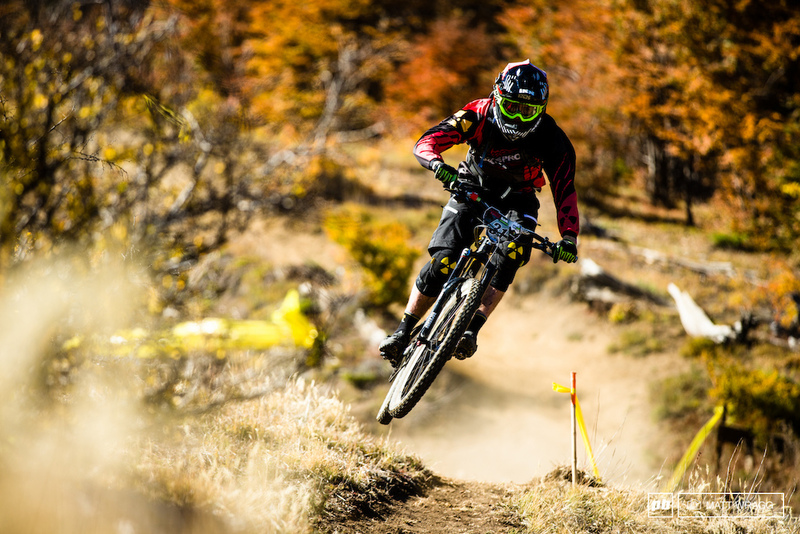 Until recently there was only the World Cup, but as the Enduro World Series has emerged, the privateers have arrived. It's a huge commitment in every sense of the word, with seven races in six countries on three continents. While the top pros dedicate their lives to that racing, it's how they pay their bills. For the privateers it's a life of sacrifices, without the luxury of pro deal to support them through the off-season, most of them graft hard to fund their racing. All the while trying to fit in as much training as they can, so they can be as competitive as possible when they get onto the race track. 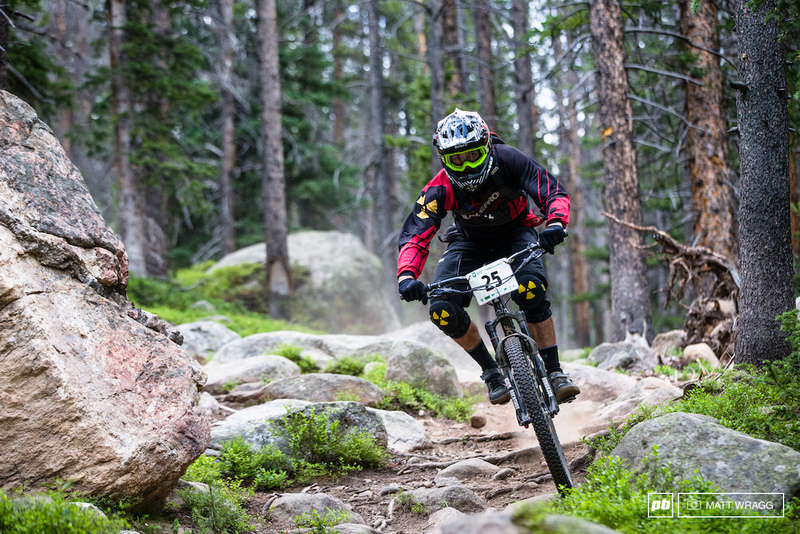 Last year Jamie Nicoll was pretty much universally accepted as the unofficial privateer of the year on the Enduro World Series circuit. Out of seemingly nowhere he showed up on his battered Santa Cruz Nomad, lightning-firing his way to stunning top ten finishes. This year it is not as easy to spot the man we think is this years privateer of the year. And that is for one simple reason - there are nearly ten guys running at race-winning pace this year. But looking back through the season there is one racer who has funded himself to come and compete at every round this year and has consistently threatened the top twenty over the five rounds so far this year. That man is 22 year-old Irishman, Greg Callaghan. We caught up with him before the sixth round of the season in Whistler to ask him about life as a privateer at the EWS. From the outside, people will see the Nukeproof bike and kit, which looks good, and maybe they will ask why we're talking to you as a privateer? To be fair, the Nukeproof guys have looked after me really well, and they have done what they can... But I don't think they planned to do a lot this year for enduro, so what they could do unfortunately wasn't much. The main difference between me being pro this year and not was the fact I had to work all winter as a courier, which meant I was working 8, 9, 10 hour days and trying to squeeze training in as well. Although I haven't had to work during the season, which is really good, but it meant I came into the season not as prepared as I could have been. That's the main thing, and having to pay the majority of everything out of my own pocket, you know, live the pikey life in the van. How does an average day look for you during the winter? Most days this year was: Get up about 6 and go get an hour, an hour and a half on the road bike, come back and start work for 8, 8.30. On a good day I'd probably finish work at about 5, go home and have dinner, then go to the gym or go out and do another session on the bike. Get home, eat again and then bed. That was pretty much it for five days a week, six days some weeks, that was a beasting schedule. I've stayed in Europe all season, because travelling home is the expensive part once you're there in the van it doesn't cost that much. But these races are the ones that hit the bank pretty hard, Chile and these two races here in North America cost a fortune to come and fly.You can't really pikey it up at all. I've got Joe Barnes' old van, so it's already really well setup for bikes. After Tweedlove I drove down with Katy, my girlfriend, and we've been in Europe ever since. In between the races my coach lives in Morzine, so I usually go and do a week with him and get some good training there. 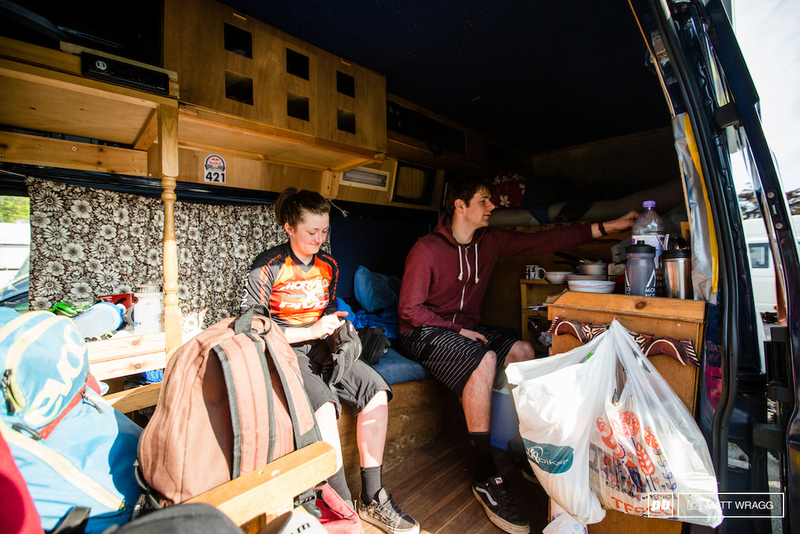 It's kind of cool being in the van, because you have the freedom to go wherever you want, so that's been good. I think the time in the Alps has helped, rather than flying home in between the races and going back to ride the local trails. You learn a lot more if you ride new trails every week. Do you think there has been a change in pace at the races compared to last year? Yeah, I think the pace has stepped up big time this year. Last time, if I had a good ride I'd get a top 25 and this year I know I'm riding a lot faster and I'm a lot fitter and faster than I was last year, and I can just scrape the top 20. I think there are so many more fast guys and the fast guys are going faster. I think the difference there is that last year a lot of people were part-time and they had a good season last year, so now they're full-time pros. This year my goal was top 15s, but after the first race I realised it was top 20s. Not because I wasn't riding well, but everyone had got so much quicker, I think. I think if I was riding the way I am this year, last year, I would be getting top 15s. It was really the Irish series that started that. I used to race downhill, but in Ireland the hills aren't that big and there aren't a lot of upliftable hills around. So I got myself an enduro bike just to train on and I found myself riding it more and more, and I enjoyed it way more. If you went out for three hours you'd get three hours on the bike, not three hours pushing up a hill for a two minute ride. Then the Irish series started up and a load of pros came over, Jerome Clementz and Nico Lau, and they all came over for the first round. I did quite well at that race, so I thought maybe... Maybe I could do quite well at this and I enjoy it more. So I tried a couple more races that season and they went well. Yeah, just kept it going from there. There used to be a joke in the UK about enduro being the graveyard for old downhillers, do you think it's fair to say that young guys like you are putting an end to that? I think from the start a lot of people didn't really give it the start they should have. Now people are coming around and starting to realise how gnarly the races are and how tough they are. It's nowhere like XC, it's like a long downhill race really, because the tracks are so gnarly and so wild. I think if you took the top ten enduro guys and threw them into the world cup on downhill bikes, they'd all do really well. 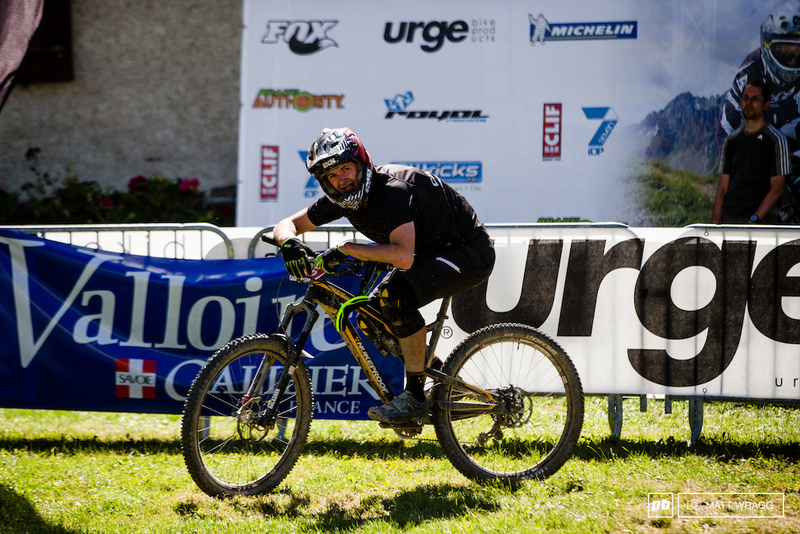 I think Martin Maes proved that this year at Fort William. Yeah, it does a bit, especially when I'm working and seeing other guys off training in the sun etc. The most frustrating thing is organising all the travel and trying to manage funds, that gets pretty damn stressful, especially when you run out of money! But I suppose it is what it is and there's not much I can do about it for now other than push to try to be one of those pro guys! 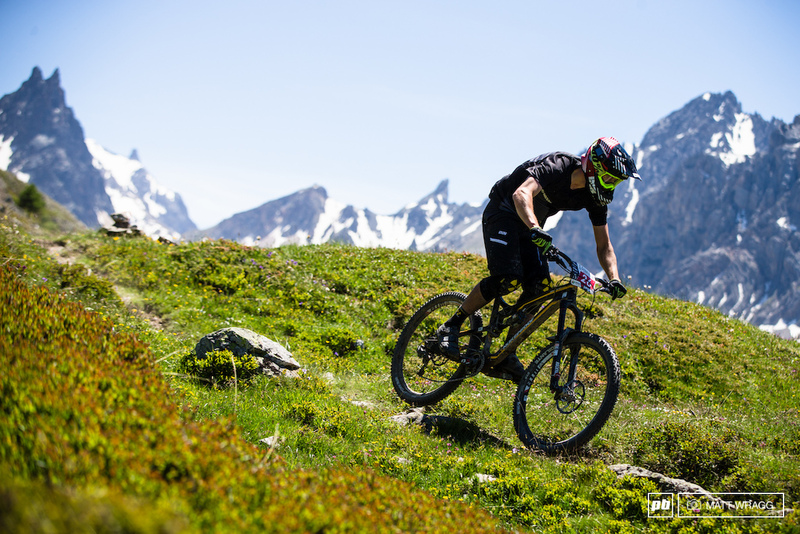 With enduro races, if you have a two to three day race, then it's generally six to eight hours a day, which means in the evening and in the morning you don't have a lot of time to eat, recover and do the things you need to do for tomorrow. For me it's usually: Finish, back to the van, quick recovery shake, go wash the bike, get the dinner on, fiddle with the bike, eat dinner... By the time you've done all that you might squeeze in a stretch and a roll. You wake up the next morning and you have to make your breakfast and all that. You just don't seem to get a minute, so if you want to watch headcams it's almost hard to find the time, but you have to... But then again, I know no different, it's just par t of it for me. I don't really miss a lot of things, I love travelling. And having Katy with me means it's not like I have a girlfriend at home who I'm missing, it's really cool I have someone I can bring with me and share it with. Yeah, you definitely do miss your mates at home and your local trails, but all the guys you're travelling with are your mates too, so everything you need is kind of there. So showers don't figure in that list? [Laughs] There's usually a river or a lake, so we do ok with that. When you arrive at a spot, the first thing you look for is a river or a lake to wash in. And some wifi. It's quite impressive that you and Katy are living together in a van for so long, but haven't strangled each other. [Laughs] Oh yeah, and for the month in Europe we had someone else, Connor. It was fine, we didn't strangle him either. Is it easier for an Irishman to take to the gypsy lifestyle then? Yeah definitely, it's easier for an Irishman. What are your goals for the off-season? I've improved my strength a lot this year, and my endurance, but I could work on my power and my all-out riding speed, I think. If you don't have power you can't sustain it, so it's all well and good being able to go flatout for an hour, but if you can't accelerate out of turn fast you're just going to be losing time. Ideally I'd be able to spend the winter doing a few training camps, go to some places like Malaga and that, get some good riding in and just train all winter really. How will you manage those camps and working through the winter? I think Pink Bike Guys should take this seriously. I think its one god dammed great idea! We should encourage and support guys like greg! Please! make that pay pal account or something else so we can raise some funds for this guy! He's not going to become rich, but hey! a thousand dollar could make a difference in his life! Food, Gas, etc. Think about it, and let´s do it! Let's see...Irish. Rides a Nukeproof. I see an opportunity for CRC. The Greg is a brilliant rider and one of the nicest guys you could come across. On top of this he is a brilliant mechanic, he fixed a chain line problem that was driving me completely crazy and had eluded myself and two good LBSs. Hope he manages to get a bit more support and can climb higher in the rankings not because he deserves it but because he has the talent and the hunger. As much as I love articles about 12,000$ bikes & lightning fast finish times, this is what it's all about for the rest of us. Dreaming about what life would be like to give it a shot. Great article! Now post up your damn paypal ASAP Greg! I wanna buy you a beer! Great article! Raw talent only takes you so far, you got to have work ethics too - nice to see the amount of dedication a guy like this has. Kudos to his girlfriend too for making it work! I remember a photo from that race. Greg on his Dj bike and piss pot lid smiling passing a lycra clad carbon shod xc racer on a climb. Priceless. Thanks for sharing this. Gives me motivation to push on racing! Had no idea how much is involved for a privateer. Fair play to greg! Crowdfund the man! Pretty sure PinkBike could pass the hat around. Best of luck to him, he is making his dreams come true. Can't fault a guy for that. New Enduro series: all riders in 'periwinkle blue’ caravans and unassisted. The privateers are what make the sport imho. Even getting to races within the country paying for accomodation/travel/race/everything else is tough - so hats of to those that manage around the world. Keep it up! Great to see a local hero getting recognition. Only a matter of time before The Greg hits the big time! Privateers are awesome! They're living my dream. Keep riding hard! that's really motivative for all mtb lovers, everyone can join to compete, ride along & against the legend like fab jz nicov cg jared. Grip it and rip it man! Nah, probably just which he will be in the same position one day. Keene has earned it, been around for a long time. Can't fault Curtis Keene. Seems like a really nice guy. In his video from the Scotland round you can see him congratulating Greg Callaghan. He was genuinely impressed by how fast Greg is in the roots n muck and modest enough to say it. .